Off-road performance starts with power, and the RZR XP 1000 delivers 110 horses of it at 8,000 RPM with the proven ProStar® 1000 H.O. engine. The heart of this RZR delivers torque—up to 71 lb-ft of it—as soon as you step on the gas for pure off-road excitement on trails, dunes, deserts, and more. Glide over whoops, rocks, obstacles, and mother nature's most challenging terrain with our standard-setting suspension. Offering a huge 18-inches of rear wheel travel and 16-inches of front suspension travel thanks to our race-inspired 3-link trailing arm rear suspension and 2-stage Walker Evans Needle Shocks for near bottomless performance. All of that Power and Suspension demands agile handling, and the RZR XP 4 1000 delivers with the fastest engaging AWD in the industry. 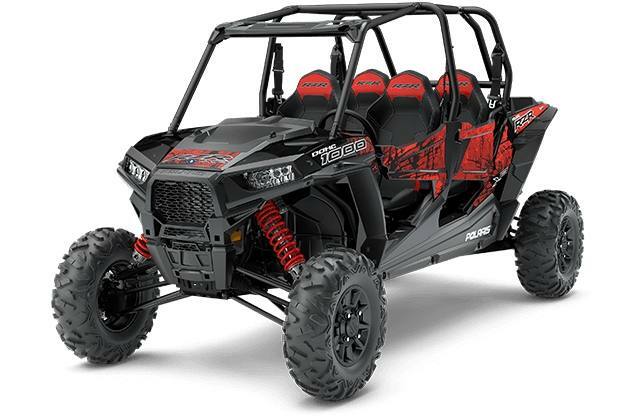 The Xtreme Performance of the RZR XP 4 1000 will have you and your friends begging to ride all day, and the comfortable and convenient interior is designed for just that. With features like 4 bolstered bucket seats, height adjustable rear seat belts, front seat sliders, and loads of interior storage including a phone holder, you and your passengers can ride happy from sun up to sun down. Are you looking for specially engineered RAZOR SHARP PERFORMANCE® for the mud? Or how about the revolutionary RIDE COMMAND™ technology package? 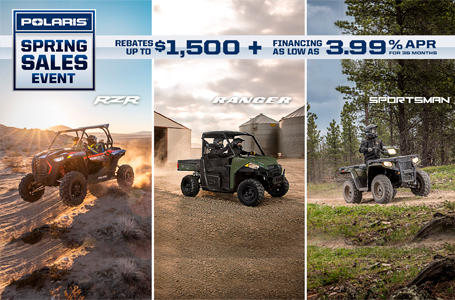 These RZRs deliver legendary RZR XP 4 1000 performance with added capability.